Multiple pathogenic species of Candida are responsible for a myriad of superficial and systemic or deep clinical syndromes that constitute candidiasis. Recent epidemiologic shifts in causative Candida species reflect the impact of use of several groups or classes of antimycotic drugs as well as the increase of at-risk and immunocompromised hosts. Newly introduced diagnostic tests facilitate earlier use of antifungal agents with improved clinical outcomes and reduced morbidity and mortality. 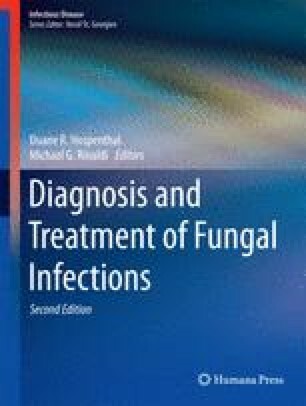 The increased appearance of non-albicans Candida species has created an increased challenge to selecting early appropriate antifungal drug therapy. Since the introduction of the echinocandins class of drugs, no new drugs have been introduced and, new in vitro and clinical resistance of certain Candida species, notably Candida glabrata has emerged to this class as well, creating the need for more rapid species identification to ensure the rapid use of appropriate antimycotic therapy.